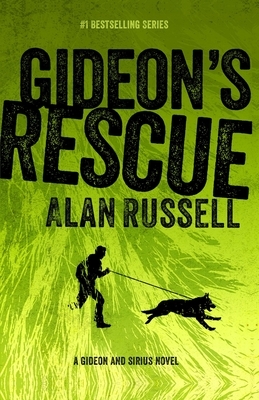 LAPD detective Michael Gideon and his German shepherd K-9 partner, Sirius, walked through fire to catch an infamous serial killer, and Gideon is still paying the price with his PTSD fire dreams. To assist the FBI's Behavioral Analysis Unit, Gideon has agreed to monthly prison visits with Ellis Haines, aka the Weatherman. This time, a homicide case the FBI wants Haines to analyze sparks a chilling discovery: A new serial killer has struck, and he's lacing his crime scenes with hidden messages intended for Haines. Haines isn't the only killer whose twisted game Gideon must try to break up. A missing man's love poems are delivered to his fianc e with the message: So sorry for your loss. And when a sweet pit bull named Emily is rescued after being left for dead, Gideon and Sirius pull out all the stops to try and bring down the dogfighting ring that abused her. Critical acclaim has greeted bestselling author Alan Russell's novels from coast to coast. Publishers Weekly calls him "one of the best writers in the mystery field today." The New York Times says, "He has a gift for dialogue," while the Los Angeles Times calls him a "crime fiction rara avis." Russell's novels have ranged from whodunits to comedic capers to suspense, and his works have been nominated for most of the major awards in crime fiction. He has been awarded a Lefty, a Critics' Choice Award, and the Odin Award for Lifetime Achievement from the San Diego Writers and Editors Guild. A California native, Russell is a former collegiate basketball player who nowadays plays under the rim. The proud father of three children, Russell resides with his wife in Southern California.